Does your child not want to join the swimming class? How can you convince them that swimming can be fun and beneficial? Many children are worried to get into the swimming pool, in spite of seeing their friends having fun in the water playground. This is quite common but with the right approach from the parents your child will become confident in the water. The most effective way to help your child overcome their aqua phobia is to encourage them to learn how to swim. We will explain how we make your child’s swimming lessons fun right from day 1 and what you can do as parent to help. As a parent, it’s imperative that you relax and express confidence in your child. This may be hard, but you can definitely do it. If you become evidently anxious, your child will also become anxious. You should realize that children take cues from their parents about what is safe or unsafe. Showing confidence in your child when you sign them up for a particular swimming class and reassuring your child that everything will be ok will help your children get over their fear of the water. This can be an ideal factor for your children, particularly if they have a fear of the water. You can choose the right class for your child by joining the free swimming assessment first. The swimming teacher will show your child the much-needed instruction on how to enter the pool, how to enjoy the water and that there isn’t anything to be afraid of. Overcoming the fear of water is usually a very gradual process. An instructor may start your child just sitting on the pool side with their feet in water. If they do this, even for a couple of seconds, this makes it easier to persuade them to go a bit further using positive reinforcement when they complete these steps until their entire body is in the water. Children may also not like the water in their eyes and therefore the Instructors will get children used to the water with goggles first to show them there is nothing to fear. HPSC instructors are using a swim fin, kick boards and noodles to make your child feel more at ease in the water, this can be reinforcing and minimize fear they might have. An instructor may use these floating devices in combination with specific swimming strokes until your child shows the correct form, and with help of the instructor come to do the swimming technique by themselves. If you reward short, attainable goals for your child, then you can reward them for their efforts. For instance, you could promise to buy them a new toy or do something fun when they pass their first swimming class. This not only gives them a goal to work towards, but it will build confidence in their ability to swim. With this, you will encourage the child to associate their adventures in the pool with a positive outcome. In the beginning of swimming lessons, it is natural for most children to be worried of a swimming pool. They are usually afraid of swallowing some water, hurting their eyes, drowning, and other factors that make children fearful of deep waters. It’s important as a parent that you keep your child calm despite their fear of the water and reinforce their milestones as they advance their skills in the water. Our swimming instructors have a lot of experience with children like this, and know how to make your child feel relaxed in the swimming pool. 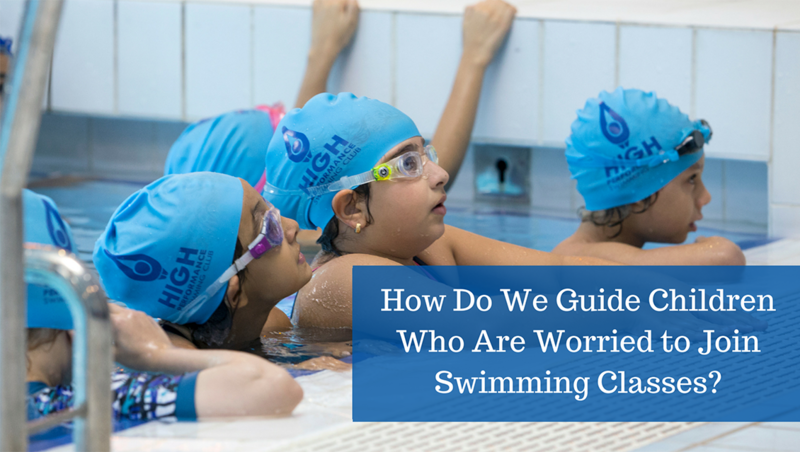 Please let our swimming instructor know that your child has a fear of the water so we can give them the right guidance and teach them some great swimming skills. When the swimming instructor is working with your child parents we kindly ask parents not to get involved. When your child cries the instructor will comfort your child however the instructor will carry on with the class. It is very normal that a child cries and this is not reason to stop the lesson. Your child will quickly start enjoying the swimming lesson and as parents you will be proud of them soon.